Business Strategies reapplied to Home Life. Innovative frameworks and strategies for professional couples and families to coordinate, communicate, plan, and make better decisions. "Insightful and innovative. 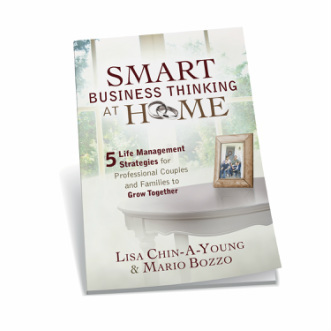 Lisa & Mario's 5 Life Management Strategies are a powerful and pragmatic way to apply business best practice to your personal life. A must-read especially for professional couples!" "A brilliant bringing home of the best of business practices. A wonderful way of using familiar language and strategic thinking to invite men to engage more explicitly in the side of life too often left to women." Yes! Sign me up to the Smart Business Thinking at Home newsletter.